Class rooms are housed with the latest learning accessories like Audio- Visual Equipments, Over Head Projector and Hi-Tech Laboratories. 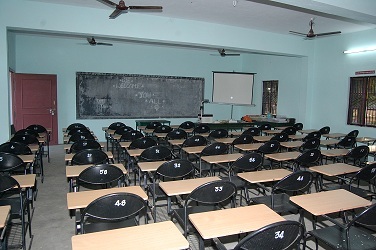 The Auditorium is designed with the modernized facilities and also having a Seminar Hall with all the latest facilities. Students are very much encouraged to participate in outdoor/indoor Sports & Games. Art & cultural clubs are created to enhance the student’s creativity and develop spiritually. Life in the campus is full of enjoyment and each day is a learning day for students and creates a continuous thrust for excellence. College life is not only for learning and character building but also helps them to face the world with insurmountable confidence. The success story of each student starts from the College with a meaningful & continued support. Jeevan College of Education arranged excellent hostel and food facilities to the students. Separate hostels for Boys & Girls are provided in the college campus, with innumerable convenience for rest and relaxation and unhindered study. Well cleaned, well lit and airy hostel rooms are provided. Security has been provided to both the hostel during night time. 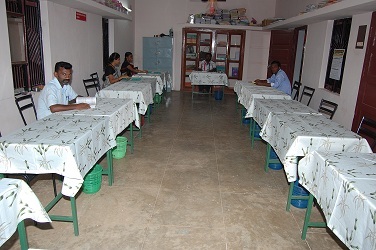 A well supported canteen has been established within the college campus. Refreshments, Juices, bottled drinks, pocket snacks & small Tiffin items have been provided to suit different tastes of the students. 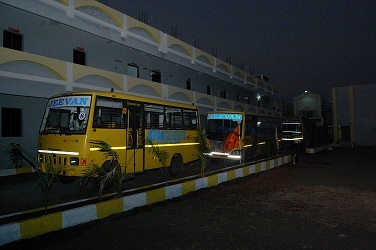 The College has a large fleet of Buses and Vans to enable easy and speedy transportation of students in and around Manapparai. Buses pick up the students right from long distances like Dindigul, Kulithalai, Kovilpatti and Thuvarankuruchi. This facility has made it possible to help the students reach the campus on time and also influence them in inculcating the importance of punctuality and improved discipline among the students. 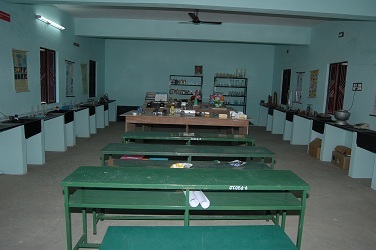 Jeevan college of edcation has provided a spacious Laboratory for the Teacher - Trainees, to learn, practice and to conduct the numerous experiments in Physics, Chemistry, Botany and Zoology, which they shall be teaching in their class room. Our library is well established and caters to the need of each student and faculty members. It is functioning as an open access system to all members in the College. The library consists of wide range of subject Books, National & International Journals, Magazines, Local News Papers, Weekly/Monthly Magazines, Periodicals, Research and Technical Reports etc. Sufficient amount of furniture are provided for reading / taking notes / Small subject discursions, Xerox Machine for copying, CD’s on different subjects, Purified R.O. water for Drinking and Toilet facilities. The library has generous lending limits and new books are purchased for the students on request. The library is opened between 9.30am to 5.30pm on all working days. 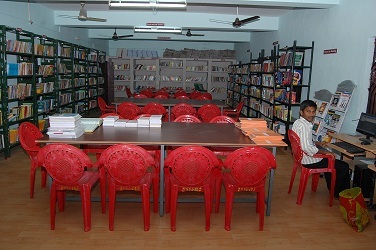 On the whole, the library is well equipped with latest technology and supported with good atmosphere. A fully air conditioned computer lab with wi-fi facility is provided, for the learning benefit of students. 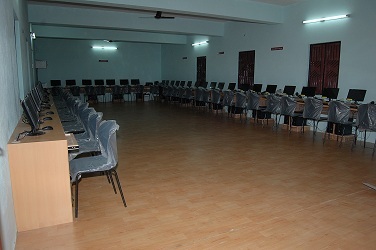 The computer lab consists of latest softwares catering to the academic and research needs of the students. Around 55 computers are initially installed in the computer lab to cater to the needs of each student. A well equipped computer based communication skills laboratory is set up for the students to develop their communication and interpersonal skills and to equip them skilled & well qualified to meet the latest industry requirements. Having adequate modern scientific equipments for conducting practical classes to the BE.d students which will be very useful for demonstrating in their future profession and also having separate laboratories for every specific subject. It insists to the trainees students that the psychology is being the basic for the teacher education . The Psychometric laboratory of this institute will enable the trainees to scale the IQ and the capabilities of the pupils with the help of the psychometric, equipments. The trainees can improve the various skills of the pupils in their classrooms. They can get the capacity to read their mind as well as others. All musical instruments are available for practice. 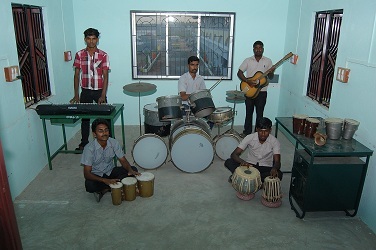 The knowledge of music shall enable the trainees to make teaching learning process a learner friendly process through the music classes students are learning the karnatic as well as western music along with the vocal , folk. A fully equipped physics and chemistry lab with latest modernized equipments and accessories are established within the college campus. Special coaching sessions are conducted for academically delayed students and students with initial learning difficulty. The college / organizes industrial excursions to various industries. 100% original R.O. water is provided throughout the college campus, so that the students should not get sick through any kind of water-borne diseases. An interactive discussion is organized between students- parents -faculty and management representatives in order to main transparency in all the activities of the institution.